Online Application Details for Madhya Pradesh High Court MPHC Recruitment of 42 District Judge is given below. 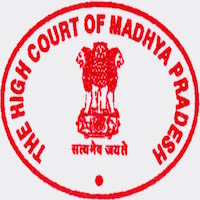 Candidate's minimum education qualification for the Vacancies in Madhya Pradesh High Court MPHC should be Graduate Degree in Law. practiced as an Advocate for not less than seven years as on 13-04-2017.